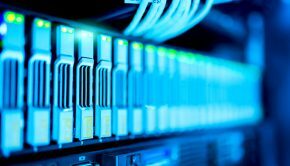 CloudBerry Lab is a major company in the niche of cloud-based backup and file management services to small and mid-sized businesses (SMBs), providing several services related to backup and servers. 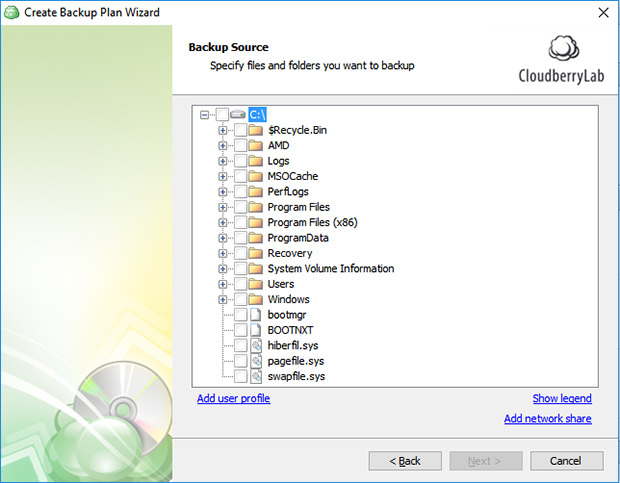 One of their most popular services is CloudBerry Backup, an effective backup solution available for Windows, Linux and OS X. 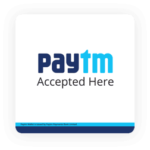 Get to know this service by checking the review below. 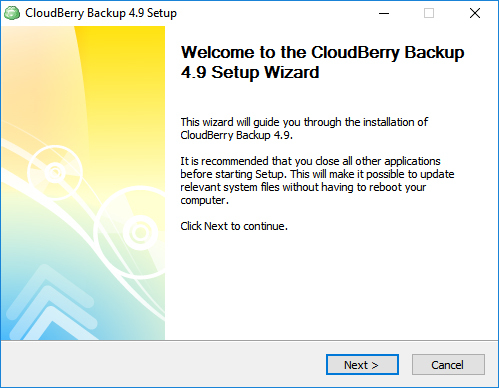 Installing CloudBerry Backup is easy, just head to the download page and select the appropriate version (I am using Windows 10). Then, run the downloaded file. 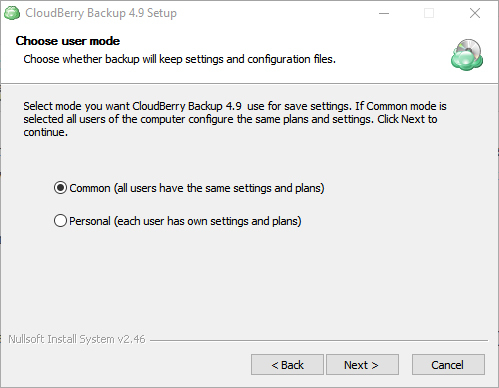 The second step of the installation requires you to choose from the two “user modes”: Common, where all users have the same settings and plans, and Personal, where each user has own settings and plans (I chose Common). The following step prompts you to choose the install location and, after hitting “Install”, the software is installed on the chosen location. 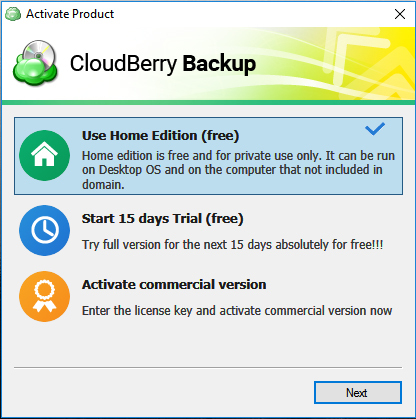 After running CloudBerry Backup for the first time, we are prompted to activate the product, by choosing one of three options: “Use Home Edition”, “Start 15 days trial” and “Activate commercial version”, the first two options being free. 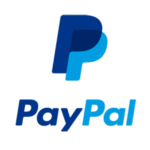 I chose the first option, that is free for private use, and was then required to provide a username and a valid email, in order to receive the registration key. After completing the registration process, we are then presented with the software itself. 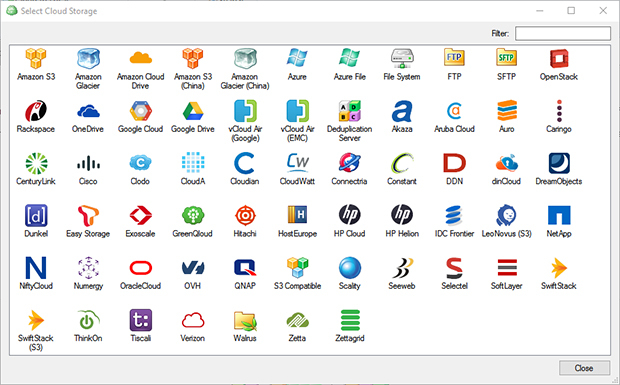 The program has a big “Windows-like” feel to it, especially because of the toolbar. 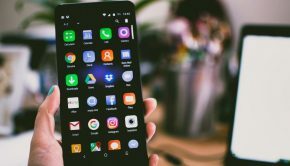 The main part of the program features 5 tabs (Welcome, Backup Plans, Restore Plans, Backup Storage and History), opening by default on the Welcome tab. 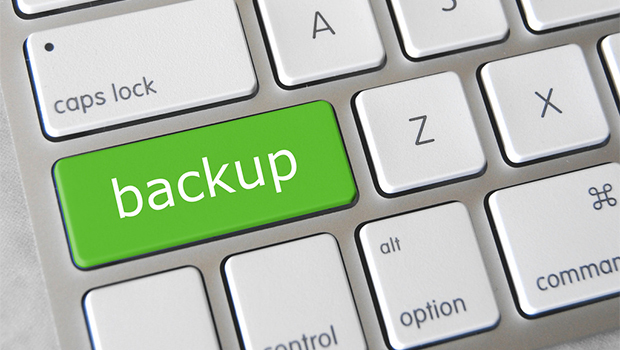 Here, two shortcut buttons can be found: Setup Backup Plan and Restore Backup. 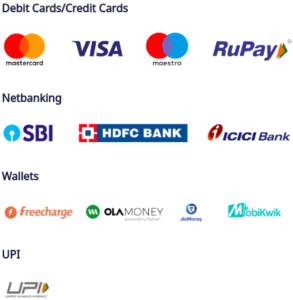 After choosing your preferred service (I went with Google Drive), there are some more configurations to be done, such as a name for that account and your login credentials for the service. 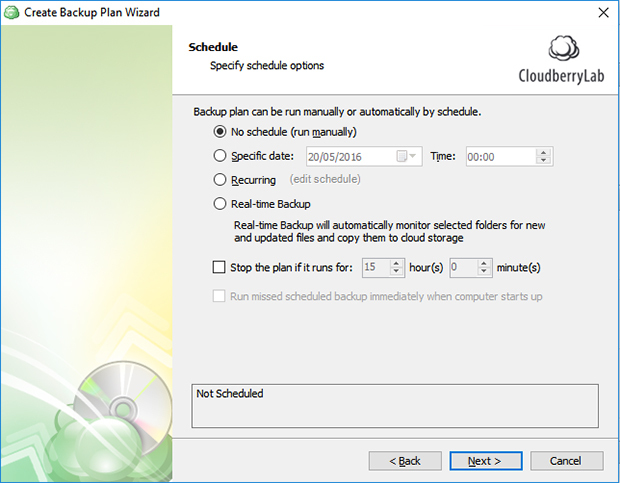 Then, we still have to name that Backup Plan and decide how we want to perform our backups, using the Advanced, the Simple or the Custom mode. 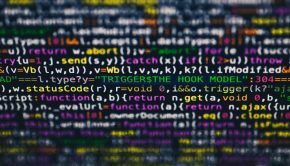 In the Advanced Mode, files are encrypted and there is support to multiple file versions, making the files only accessible by this software and no other. 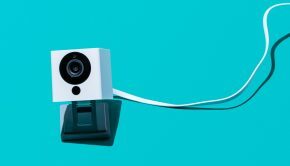 With the Simple Mode there is no encryption nor file versioning, but the files can be accessed and used with a simple browser or other file client. In the Custom Mode, specific storage folders can be defined (for simplicity purposes, I chose to go with the Simple Mode). 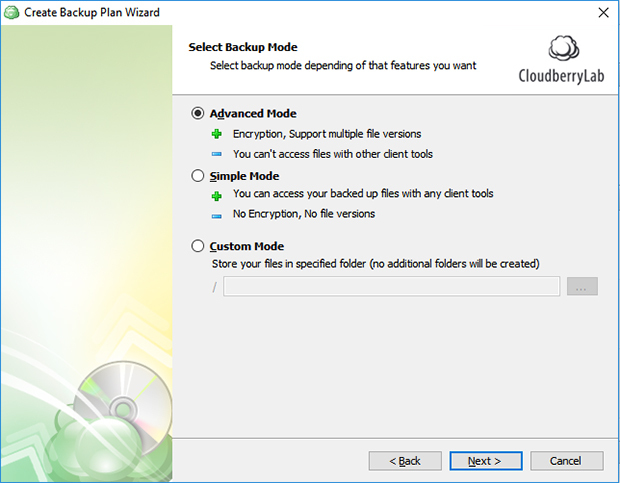 The following screen of the wizard presents two advanced options, that can be selected with a simple tick box: “Force Using VSS (Volume Shadow Copy Service)” and “Backup NTFS permissions”. 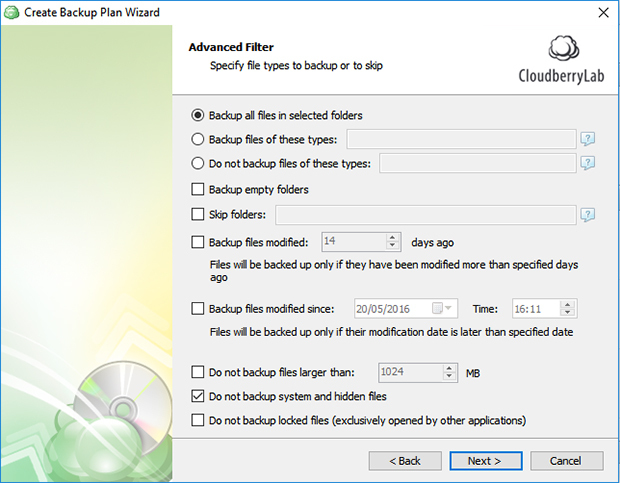 Finally, we can choose the folder(s) to backup and, after that, advanced filters for the backup. 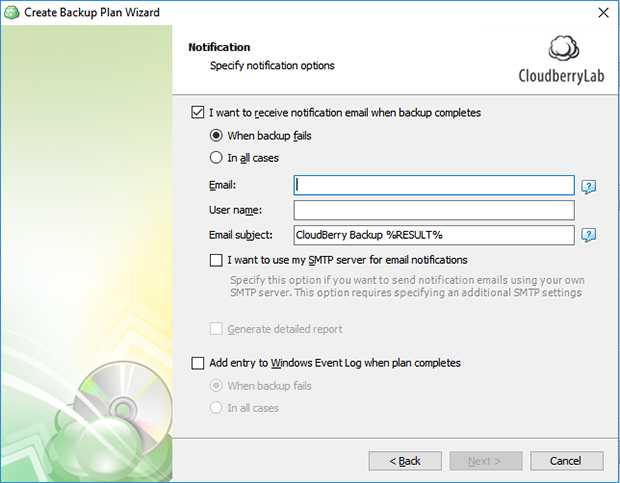 After a series of steps that may or may not be active, depending on the chosen options, then comes the screen to define all the specific scheduling options and, in the upcoming screen, decide if you want to receive email notifications (for example, if the backup fails). Finally, we are presented with a summary of the backup plan and that is it. I have tested the software for a few days and everything works perfectly. 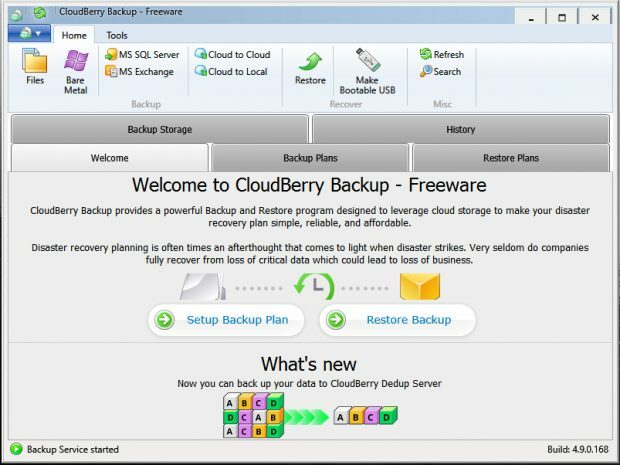 If you liked the free version of CloudBerry Backup, be sure to go for the PRO version, which can be obtained for $29.99 (price of a permanent license, per computer).